Well done to everyone who had a go at our summer challenge this year. I hope that you enjoyed the activities e.g writing a postcard, making a model from recyclable materials, reading a book by a new author, visiting a London attraction, sending a postcard, making breakfast etc. Everyone who brought in their challenge will receive 5 housepoints for their house. Here are some photographs of children enjoying the challenge. Who can grow the biggest sunflower? We had two sunflower competitions – one for children to grow at home and one for which class could grow the biggest sunflower in the story garden. The class who grew the tallest sunflower was Hazel (which proves that giving it plant food helps! ), the class with the largest flower was Pine and the pupil who grew the biggest sunflower was in Y1 with a TWO METRE high plant. 1 Put some soil in a plant pot. If you haven’t got a plant pot use a plastic cup with holes in the bottom. 5 You could put half a plastic bottle over it and grow it outside. 6 When leaves appear take the plastic bottle off. 7 Don’t forget to water it. 8 Carefully plant it out in a big pot (bucket size) or in the ground. 9 Sunflowers can grow to over two metres – they need watering and protecting from slugs when they are tiny. They may also need a cane to support them. Take our dog challenge for World Book Day! What is the name of the dog in the cartoon Tintin? How many Dalmation puppies are in the story and film about spotty dogs? (trick question!). Answer: 99 puppies – Pongo and Perdita were the adult dogs numbered 100 and 101. What’s the name of the Big Red Dog? Who is Dorothy’s dog in the The Wizard of Oz? What’s the name of Biff, Chip and Kipper’s dog? Who is Shaggy’s cartoon friend? Can you name two friends of Hairy Maclary? What dog did Julia Donaldson write about? What does Biff the dog want to be? And a question for the grown-ups? What is the name of the dog belonging to TV gardener Monty Don? Clue – he has his own Twitter account. If you have some time to spare you could try our word search. But beware – it’s not easy! You have to click on the link and then print it out – it should print onto one page. You might need some help by looking at our website for the answers – there are up to 60 words. Over the half term holiday we had a fun fundraising activity which was suggested by a parent. We gave out a bottle to every Holly Park family to fill your small change. Our team of coin counters spent two whole mornings counting the change that children collected in bottles and an amazing £1343.46 has been raised for the school. Six classes (Mulberry, Cedar, Sycamore, Rowan, Elm and Hazel) raised more than £100 and the winner was Mulberry with a huge total of £194.77. Put together a book in a box. Take a shoe box, jar or other box and put in it lots of objects, pictures, speech bubbles etc about the story. E.g A book box of Cinderella could contain a crown, a silver slipper, a wand, a pumpkin, a picture of a mouse, a doll’s beautiful dress and an invitation. Entries have closed and the winner will get a £5 voucher to spend at the book fair. 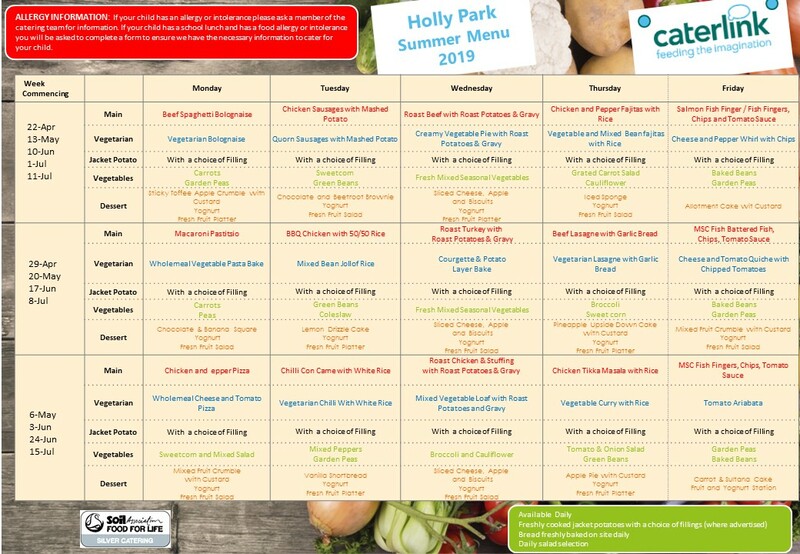 At Holly Park we are trying to be more healthy and have been teaching the children about the importance of exercise, drinking water and making the right food choices. Over the summer holidays the children were asked to take part in the summer challenge. They had a variety of tasks to complete such as: visit a museum, build a tower of 1p coins, eat a new food, pick up rubbish, grow a plant from seed, follow a recipe and bake something, learn to juggle etc. Well done to everyone who took part, we had lots of challenges returned to school and many beautifully presented in posters and books.